After a LONG and tiring day of fun in Newcastle with my three children this half term, we were in need of a nice sit down and some decent food. We headed to the Botanist and the first thing on my mind was ordering my favourite cocktail - a Passion Fruit and Basil Fruit Crush. Just one sip and I was already feeling a lot less frazzled and able to deal with Jack who was started to feel a little over-tired - just look at the craziness in those eyes! The Botanist is a popular place and booking a table is highly recommended (top tip - select 'lunch' rather than dinner to book an early evening table). 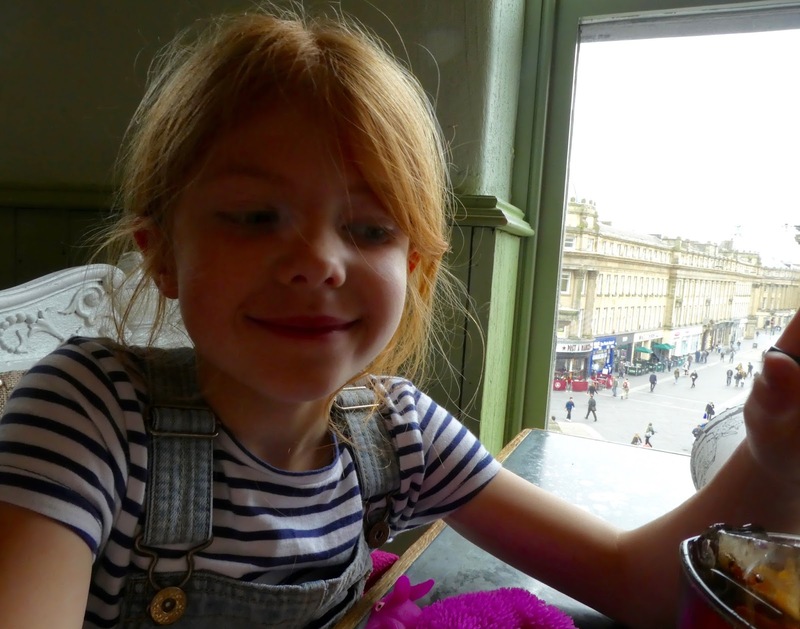 We were seated in a prime location with lovely views of Greys Monument and Grey Street below - a perfect spot for people watching. 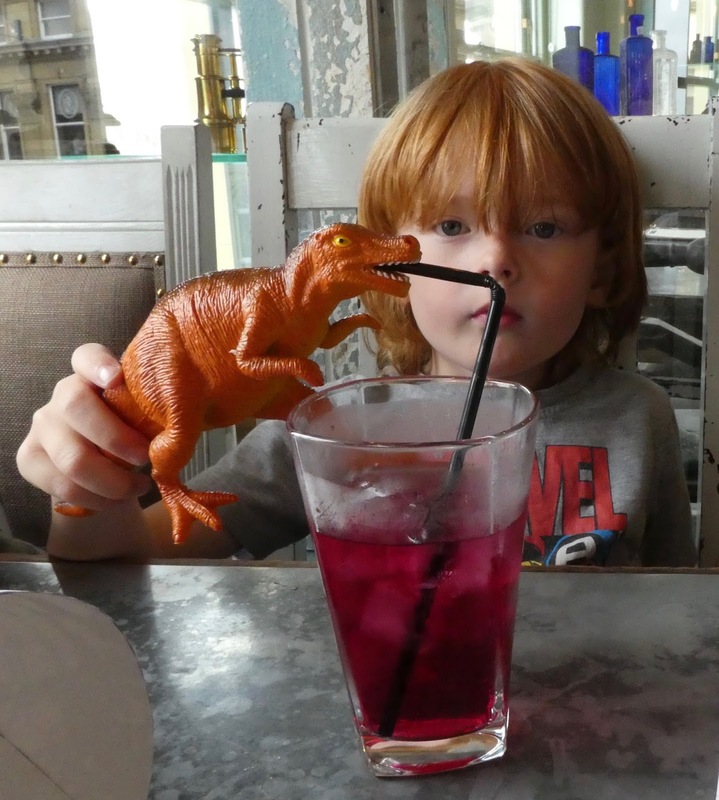 Jack's dinosaur of course had to come along and try some juice. 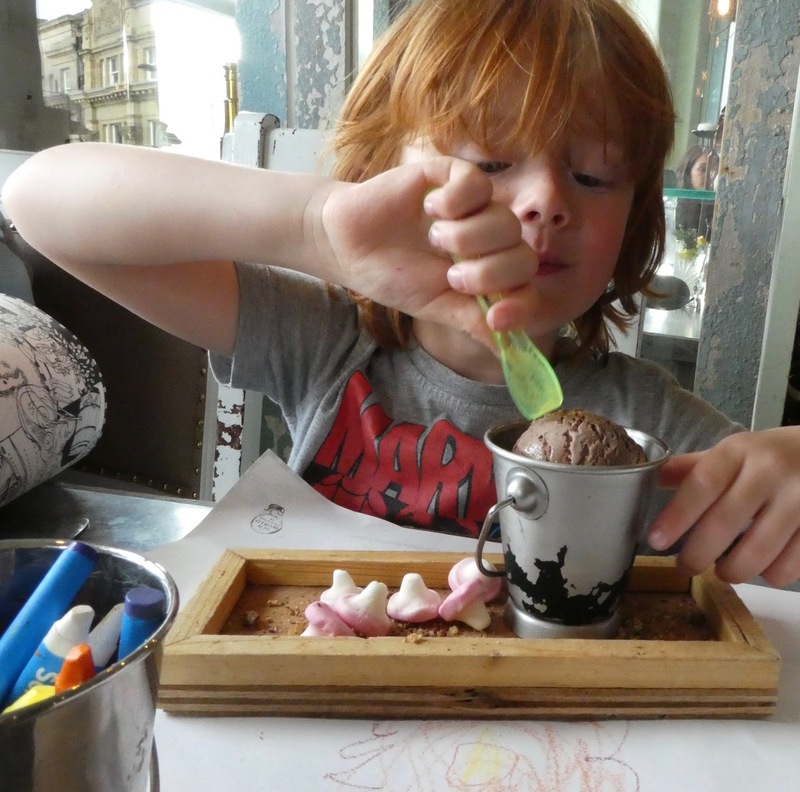 The children's menu is £6.95 for 2 courses which I think considering the fun menu, location and ambience, is good value and perfectly priced for a half term treat. You will find favourites such as mini burgers and chips or chicken fingers alongside child-friendly takes on some of the Botanist's signature dishes such as their famous hanging kebabs or deli boards. 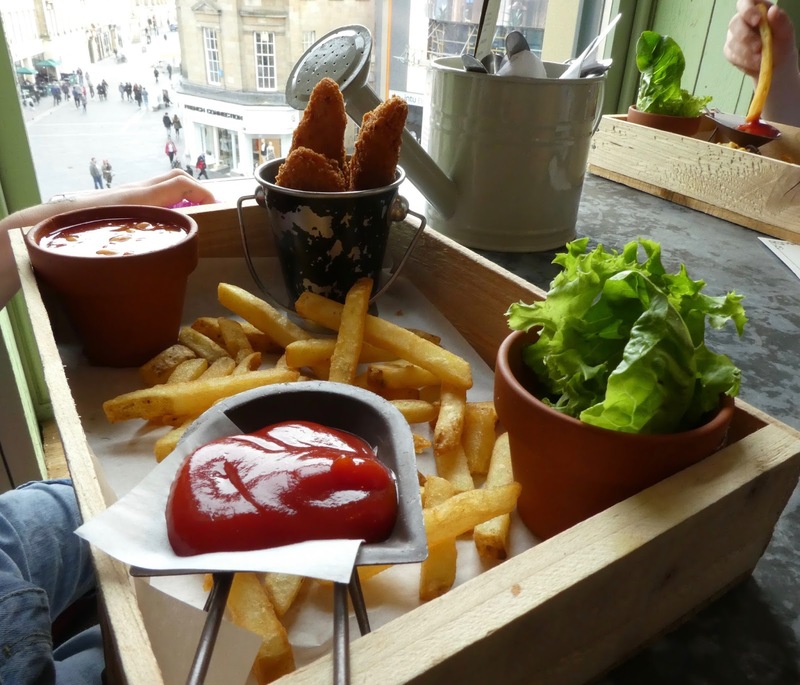 Children's meals are presented in that typical 'Botanist' way with mini plant pots full of beans and wheelbarrows filled with ketchup. Our three love this and it always encourages them to eat more. The children were given an A3 world map to colour which kept them entertained between courses. 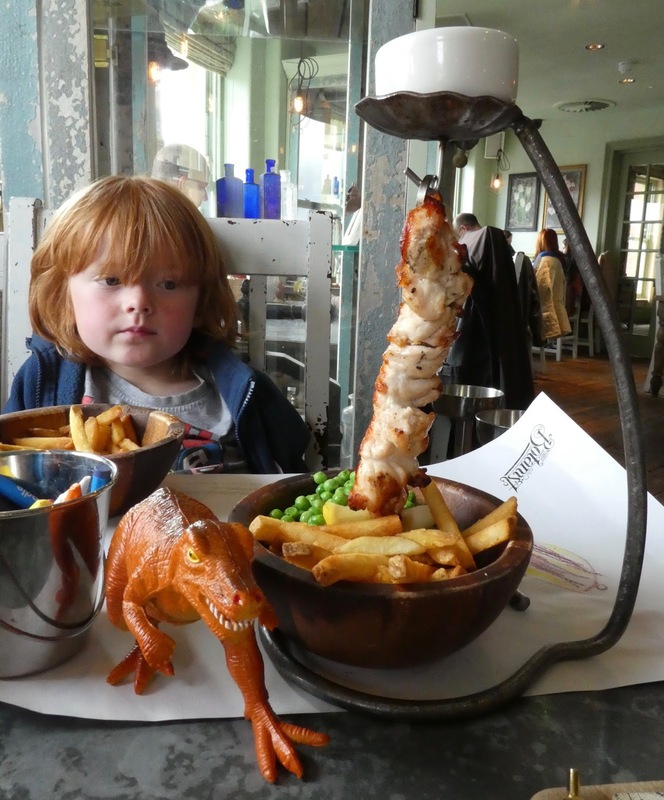 Jack ordered the child-sized hanging kebab - I will be honest when I say I have always steered away from ordering these myself. I have heard mixed reviews and always worry they may be on the dry side. Obviously I needed to use this opportunity to sample some of Jack's and I have to say it was delicious - the chicken was VERY succulent and tender and I'll definitely order a grown-up portion of this dish on my next visit. Jack devoured his meal and declared it his favourite part of our day. I have trained myself to order salads now whenever I see them on the menu and I was pleased to see there are now a selection of salads available at The Botanist. With options ranging from a Superfood salad, Tomato & Avocado salad and Caeser salad, I was spoilt for choice. 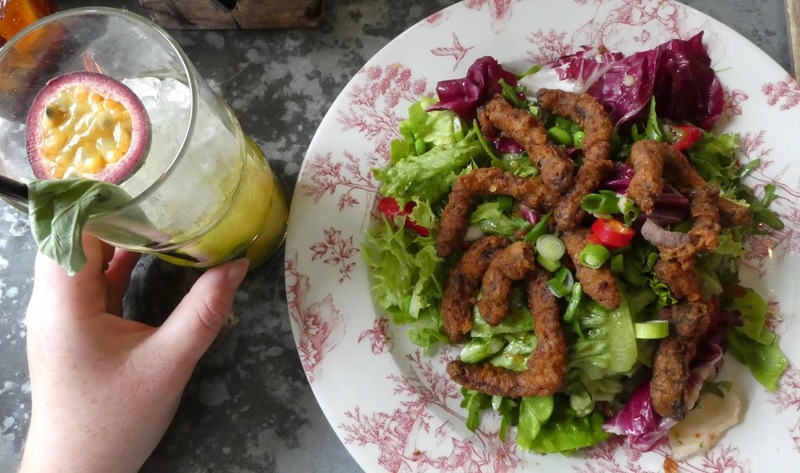 I eventually decided on a Crispy Salt and Pepper Beef Salad with Soy Beans with sweet chilli dressing. It was delicious and such a large portion. Worth the £10.95 I thought. Ice cream is included in the children's £6.95 meal deal. This is no ordinary ice cream though. It comes in it's own bucket with a 'spade' spoon on a beach-style biscuit crumb with a few sweets (aka shells/rocks). I happily let my three play with their food at this point and they love tucking into their own mini beach. 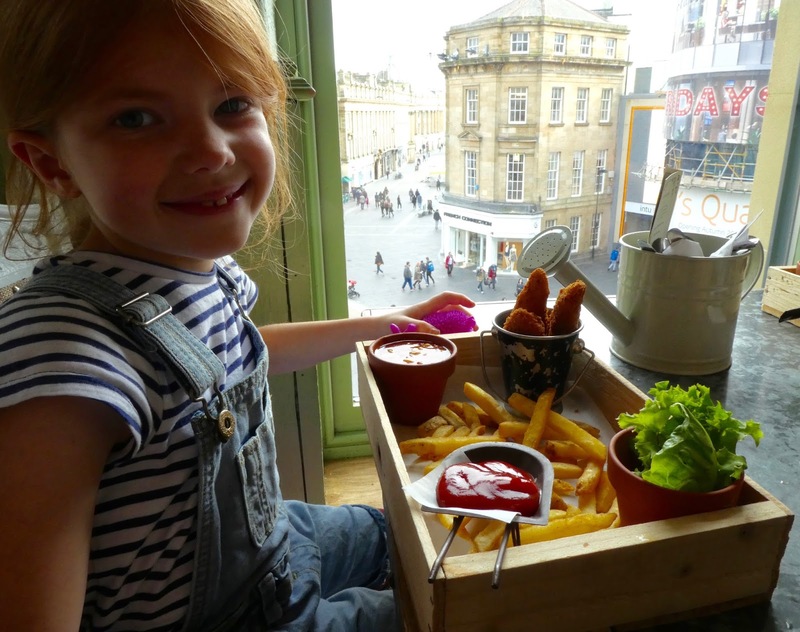 The Botanist is high up on our list of places we like to take the children to eat out in Newcastle. 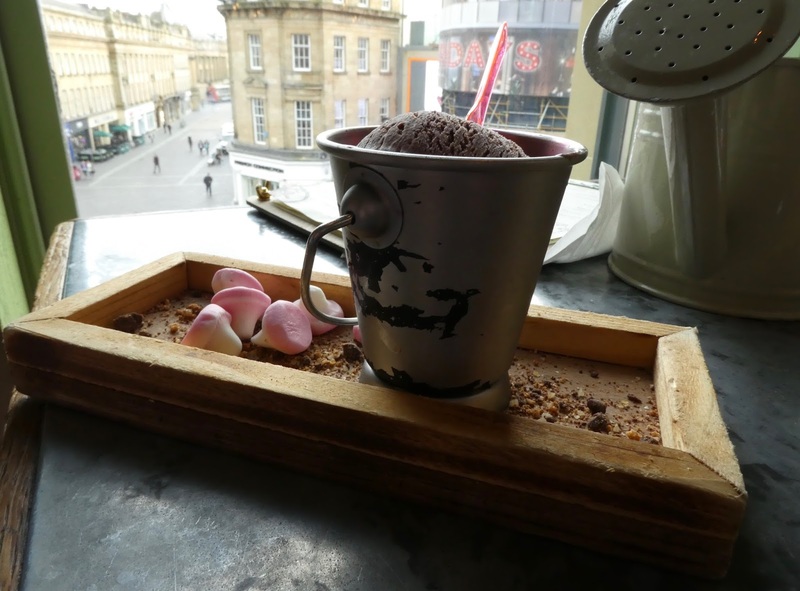 They cater well for kids with their fun, quirky menus and colouring sheets, the staff are super friendly, knowledgeable and accommodating and you simply cannot beat their cocktails. 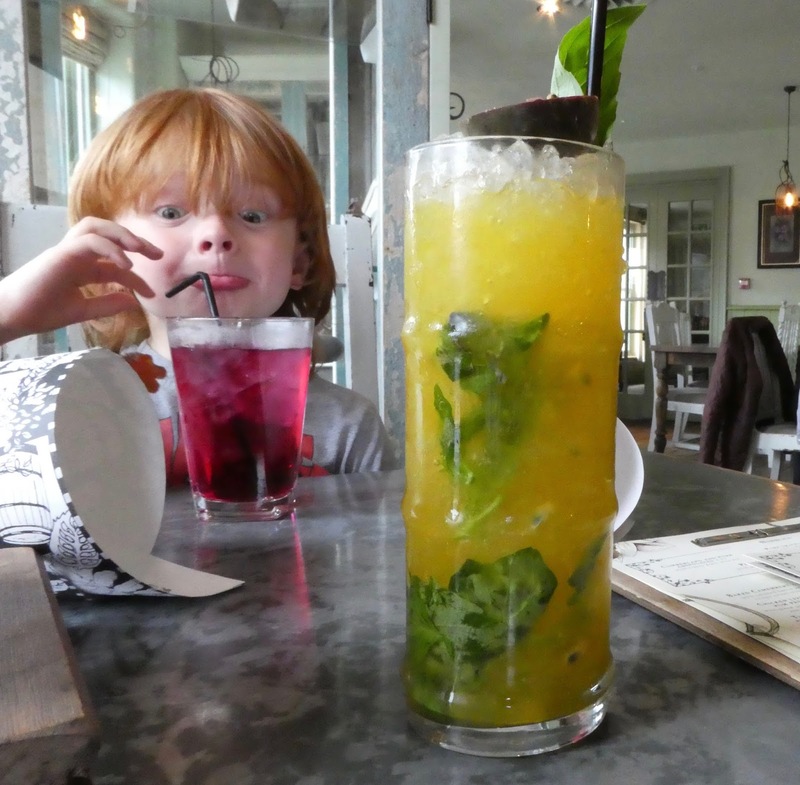 We have dined at the Botanist with our kids around 5 times now and have always enjoyed the experience and our visits have always been stress free and dare I say it - relaxing! I would also highly recommend their family Sunday lunches - you can even book a private dining room as an extra special treat. We were invited along to the Botanist during a Press Menu Launch evening and received a complimentary meal. 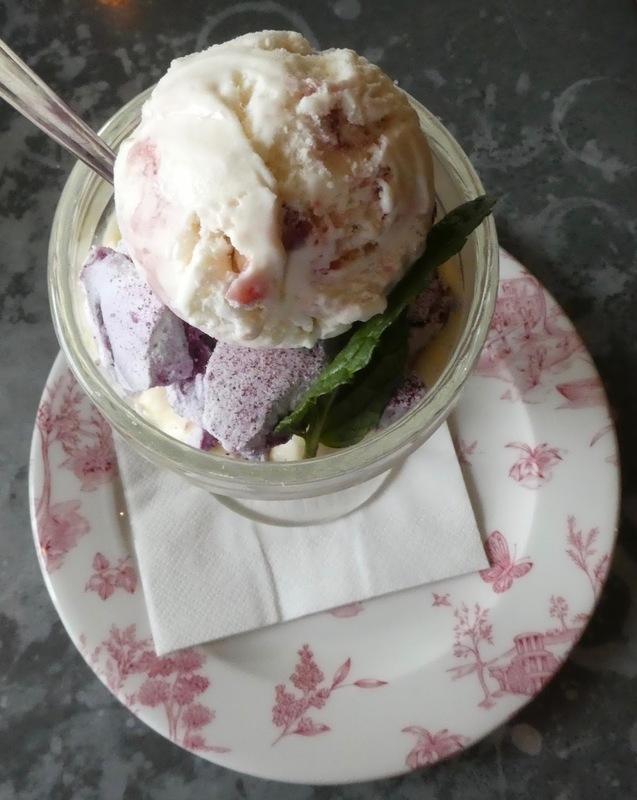 We were not obliged to write this review but genuinely love the Botanist so much and wanted to tell you all about it. All thoughts are our own. I think that's a brilliant price for a children's menu. 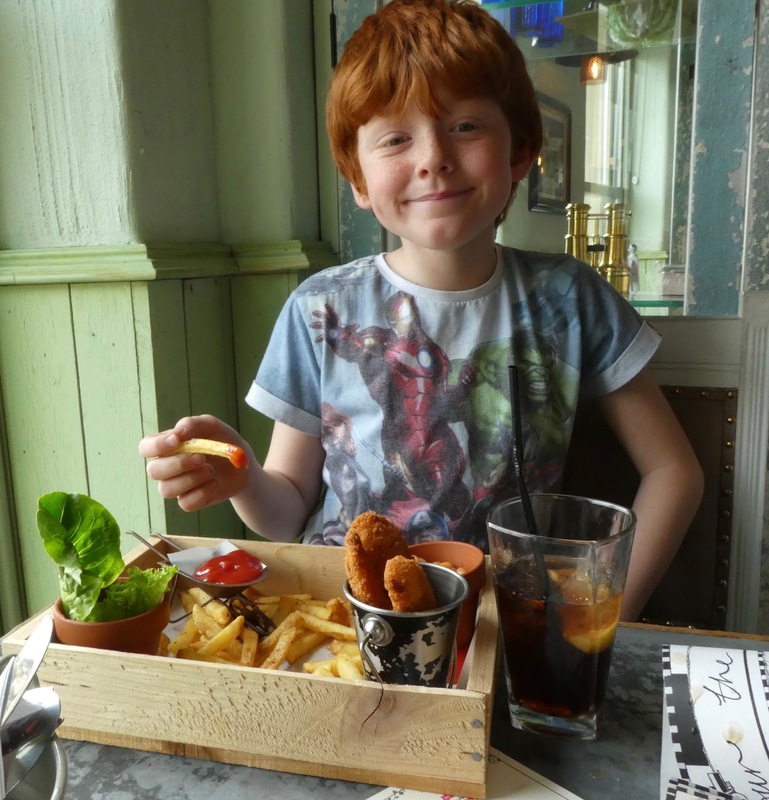 As a child I was a fussy eater but I would have loved how the food was presented at The Botanist! We had a FAB family lunch here a while ago and the kids LOVED it! I love the amazing views of town you get, the fun food presentation and the lovely atmosphere. It's a real treat place to go, but definitely worth it!